At around 1 a.m. Friday night, the modern-day Pharaoh arose in Egypt from his slumber to belatedly deliver a message to his country, the wider region, and indeed the world, in response to what was an unprecedented day of protests. Dressed in a sharp black suit, with his jet-black hair combed back in slick fashion, President Hosni Mubarak proclaimed: "I address you today not only as the President of the Republic but as an Egyptian citizen." As he wavered between the words of stability and democracy, at one point he claimed: "I will always be taking the side of the poor in Egypt." Then at the very tail end of his speech, he announced that he would be dissolving the government and appointing a new prime minister on Saturday. And then he left the stage. Only several minutes passed before hundreds of Egyptians, late into the night began reemerging on the streets of Cairo, Alexandria, and elsewhere in the North African country. Mubarak had failed. In the eyes of most of his countrymen, he may have been an Egyptian citizen, but he was certainly not welcome anymore as the 'President of the Republic.' What became clear Friday, January 28 -- and later on Saturday when the appointment of Omar Suleiman as Vice President and Ahmed Shafiq as Prime Minister barely caused a ripple -- was that the Egyptian people were not calling for a change of government but wholesale regime change. It also became apparent from the drizzle of cautious statements by Western leaders and the deafening silence from Arab kings, sheikhs, princes, and rulers, that everyone is still living in denial (and I ain't just talking about a river in Egypt). What exactly unfolded in the last several days? What does it mean and what is yet to come? It would be difficult to answer all of these questions, especially because the situation in Egypt and across the region is rapidly changing hour-by-hour and even minute-by-minute. Let's start with the regional context. There are 22 countries in the Arab League representing over 300 million people, of which none are free and open democracies. To be fair, Comoros and Mauritania have recently had somewhat electoral transitions of power, but they are on the periphery of the Arab world. Iraq, Lebanon, and Palestine, have had active political contestation and even elections; each of these, however, are incomplete examples, simply because of their own unique circumstances. Palestine is not yet even a country, mind being a territory split in two and under occupation. Lebanon has perhaps six dictators rather than one, given its sectarian system. Iraq is Iraq and still in a soft-state of conflict. In 2002, the cover was finally lifted on this absence of freedom and development in the Arab world, where most people had become accustomed to dynasties, autocracies, and dictatorships, in an official UN publication, the Arab Human Development Report. In addition, the advent of regional satellite media, led by Al Jazeera primarily, ushered in a new sense of openness, fostering a new wave of critical reflection. It was in the early years of the 2000s when the internet also started to have wider penetration in the Arab world. Then in Turkey, which for the last half century if not more, was an unseen player in the wider Middle East that looked West, had a seismic shift in its politics. The AK Party, which consisted of a Muslim-oriented group of politicians, won an election in 2002 and provided a new paradigm for democratic rule that also embraced the wider region's heritage and religion. Unfortunately, 2003 saw President Bush's misguided democracy by neo-imperialism approach take root, with a famed speech at the National Endowment for Democracy as well as of course the infamous invasion of Iraq. Democracy, freedom, and elections became euphemisms for invasion, occupation, and chaos. The regimes of the region used this to chill domestic change-makers. At the same time, the American administration was still pushing for reform. That was until two elections. The first was the 2005 parliamentary elections in Egypt, which saw the Muslim Brotherhood, a movement espousing political Islam (with the slogan 'Islam is the Solution'), win 88 of 454 seats through a campaign of independent candidates (as the party was officially banned). The second was the 2006 parliamentary election in the Occupied Palestinian Territories, which saw the rise of Hamas to power, defeating the incumbent Fatah movement, and entrenching a hostile entity to the West in the governance of a strategic area. When President Obama came to power in 2009, the aspirations for democracy in the Arab world were jaded, deferred, and declining. The president also wanted to distance himself and the administration from the focus on democracy in the region, which it saw as tainted by the Iraq war. Thus President Obama, in fact, chose the Egyptian capital Cairo, under the auspices of President Hosni Mubarak, as the place to launch his new partnership with the worldwide Muslim community. There was an acquiescence to the status quo. From the outside, in a region that was a tinderbox that could export tensions globally and where insecurity could jeopardize global energy security, the stability of existing regimes had come back into favor in Western capitals. Within Arab society, there had been a resignation to the status quo since the overturning of the Hamas government in 2007 and the fear of chaos that reigned in Iraq, and it was hard to see any momentum for change. Simply look at the task that would be at hand. Entering 2011, regime structures had been in place for over fifty years in most cases, with a number of individual rulers having been in place for decades. Jordan. Libya. Saudi Arabia. Egypt. Tunisia. Morocco. Syria. Kuwait. Bahrain. Oman. Yemen. The list goes on. Yet in 2011, the context is changed. In the Arab world, 60% of people are under the age of 25, with around 100 million just between the ages of 15-29. That means that in many societies, like in Egypt, the majority of the population had only known one ruler -- and all the corruption, antipathy, and suffocation that could be associated with that. With the right amount of unemployment, which hovers officially around 15% in most Arab countries, but is more likely to be near 20-30%, not to mention underemployment, this was a fire ready to burn. However, the region needed a match. Perhaps it would have been the 2011 Egyptian presidential election. After all, Egypt is an influential player in the Arab world, partially because it is by far the largest country by population; it is also a strong cultural and political leader. Pan-Arabism, a movement that dominated the politics of the 1950s and 1960s, drew its strength from President Gamal Abdelnasser of Egypt. Pan-Islamism, which grew stronger in the late 1970s until today, grew out in many ways from the Muslim Brotherhood, a movement founded in Egypt by Hassan al-Banna in1928. Egypt, the influential country of 80 million strong, saw parliamentary elections in 2010 where the ruling National Democratic Party (NDP) received 81% of the total seats. A constitutional provision in the country meant that no other parties could contest the 2011 presidential election, because they did not reach the 5% threshold of votes in parliamentary elections to qualify to nominate a candidate. Thus, there was this expectation that the next pitched battle for democratic reform in the region would be September 2011 during the Egyptian presidential election; even the former IAEA President and Nobel Laureate, Mohamed el-Baradei, was returning to contest the election, providing a real alternative to the rule of President Hosni Mubarak, who had been in power since October 7, 1981. Thus entering 2011, the youth cohort in the region was due to peak and unemployment was rising especially compounded by the global crisis. Additionally, Turkey in the wider region had emerged with a strong government -- nine years on from the AK Party's rise to power -- and could be seen as an example of a moderate democratic force, showing that there was a liberal political alternative to autocratic regimes that could provide stability. Moreover, Iran in 2009 demonstrated the real power of new tools such as social networking in helping to mobilize crowds and spread messages through new media. And then, instead of waiting until September, Tunisia, the forgotten North African country came alive, because one man, pushed to desperation, physically lit himself on fire to show that he had enough. His name was Mohamed Bouazizi, a 26-year-old street vendor, who had his produce and other items confiscated by a 45 year-old bureaucrat assisted by two thugs from the security apparatus. He petitioned the municipal administration for a reprieve, especially because he had gone $200 into debt to buy the goods he was selling. It was to no avail. In his town of Sidi Bouzid, the spark of the new revolution started. What happened in Tunisia and how the protests accelerated over the course of several weeks is fodder for a much longer post. Tunisia, had been an autocratic secular dictatorship ruled with an iron fist. President Zine El Abedine Ben Ali had been in power since 1987 and had succeeded Habib Bourguiba who had ruled for 30 years. Ben Ali, in recent years, however, had not had the same economic success of his predecessor. It's hard to ascertain fully what happened in Tunisia, but each day after Bouazizi set himself alight on December 17 and then when he finally succumbed to his injuries on January 4, 2011, the protests and demonstrations grew stronger. While the Arab world had seen its share of coups, bloodless and most often by the military, it had yet to see popular protests amount to much. When the demonstrations showed no signs of abating, and after Bouazizi's death, President Ben Ali tried to be conciliatory telling the Tunisian people he understands them and would respond to their concerns. The protests went on and the Arab satellite channels, especially Al Jazeera broadcast them. Still the Arab world watched, not thinking it would amount to much. Ben Ali came back on television and announced he would not stand again in 2014 for re-election, a key and noticeable concession. Something had changed, the protesters felt it and they did not relent until on January 14, President Ben Ali fled the country, facilitated by Libya, with his wife Leila Trabelsi -- who was the subject of much scorn because of her family involvement in using state power to facilitate their businesses -- taking $50 million of gold bars with her to Saudi Arabia for exile. It was the end of a 74-year-old's rule. That day I was at a talk at the American University of Beirut on an unrelated topic. We followed what was going on by reading twitter on our mobile phones. 700 people were in the auditorium and as it became apparent as to what had happened, the convener of the event -- a discussion on the Arab-Israeli conflict -- took the microphone, and belted in Arabic -- "Today Tunisia, tomorrow Libya, and then Egypt, and then Saudi Arabia, and then every capital in the Arab world!" Yet, within a few days, the euphoria had died down. Tunisia was said to be different. It was not in the heart of the Arab world and had been under the radar. It was not a key interest to the West. Egypt is a very different country. It has 80 million people to Tunisia's 10 million. The population is relatively apathetic. From January 14 to January 25, there were a number of protests throughout the Arab world. In Jordan. In Yemen. In Algeria. To a lesser degree, in Oman and Libya and elsewhere. Egypt, however, was still waiting to erupt. What Tunisia did was break the zero-sum culture of impossibility. It showed that it was possible -- to change the country, to protest the ruler, to force a regime change from the street. So while Egypt took a couple of weeks to fully react to Tunisia, activists and bloggers and others were organizing. Twitter and Facebook and the Internet helped facilitate on January 25 a Day of Rage, organized by loose groups of activists. Like in Tunisia, the Egyptian demonstrations were not led by any one group, mind the traditional opposition, the so-called Islamists. On January 25, the Muslim Brotherhood stayed largely on the sidelines. Millions of Egyptians already infected by the spirit of Tunisia now had an avenue to channel this spirit. Friday prayers, as always, provided the perfect avenue for a wider uprising. Strategically diverse locations (i.e. mosques) in every city across the country would be the barracks of this non-violent civil disobedience. Hundreds of thousands of people - at least - would be automatically mobilized. It was clear by Wednesday and then Thursday, that Friday, January 28 would be an explosion. Secretary of State Hillary Clinton tried to placate "both sides" calling for "restraint" while supporting both the government and the people. What was clear, was that Friday would be a battle, a blow would be struck and everyone would wait to see how the Egyptian government would absorb the hit. In trying to preempt the protests, the government of Egypt had about 80 ISPs go offline at around 12:30am local time. That meant the country was relatively without internet (except for dial-up through foreign numbers). Then they asked Vodafone and other carriers to halt mobile phone access in selected areas. When people awoke on Friday morning, they could not coordinate by mobile phone, or by email, or by Twitter, or by Facebook; all they knew, was that they could go to the mosques for afternoon prayers and see - Friday prayers being the weekly prayer and the first day of the weekend in Egypt. While Tunisia opened the door and lit the flame, it was on Friday in Egypt when it turned into a fire. There was no fear. But there was also no coordinated plan. Yet, people confronted the police forces, pushing them back in many cases, and eventually over-taking them. In Suez. In Mansoura. In Alexandria. Across the country and of course in the heart of Cairo. By nightfall, the headquarters of the NDP was on fire. The police and security apparatus was forced to retreat. When the military came on the streets, the soldiers were welcomed with chants of Allah Akbar, a typical slogan of exuberance. "When President Mubarak addressed the Egyptian people tonight, he pledged a better democracy and greater economic opportunity. I just spoke to him after his speech. And I told him he has a responsibility to give meaning to those words, to take concrete steps and actions that deliver on that promise." That is where Egypt finds itself now. President Mubarak is no longer trying to placate the people or even the US, but instead trying to curry favor with the military to ensure that they remain on his side. If the military shows an allegiance to the people or an emerging consolidated opposition movement, then that is the end of Mubarak. The police are now largely absent from the streets. Police stations have been torched across the country. Even traffic cops are not to be found in busy Cairo. Security is in the hands of the army, who thus far, have not clashed with protesters, and instead have focused on protecting key facilities like the State TV building, ministerial offices, and the National Museum. President Mubarak appointed Omar Suleiman as Vice President, a post that had remained vacant since he came to office (in fact the last Vice President in Egypt was Hosni Mubarak). Suleiman is the Director of Intelligence in the country and a known figure to the Israelis and the Americans, as well as the enforcer-in-chief inside Egypt. Mubarak then appointed in his new government, Ahmed Shafiq as the Prime Minister. Shafiq is a former commander of the Air Force; coincidentally so was Mubarak many years ago. Thus Mubarak has been sending signals to the military and one cannot forget that he himself was a military man. He is hoping that they will not support a transitional government or a national unity-figure like El-Baredei (the Muslim Brotherhood and Ayman Nour are not real options in this role at this point). "Egypt is a country of Arabism and Islam. No Arab and Muslim human being can bear that some infiltrators in the name of freedom of expression, have infiltrated into the brotherly people of Egypt to destabilize its security and stability and they have been exploited to spew out their hatred in destruction, intimidation, burning, looting and inciting a malicious sedition." Yet, the spark of Tunisia cannot be extinguished. The fire that raged on Friday [and after] in Egypt has already spread in both symbol and substance. The bogeyman of Islamism of course will not dissipate. The Muslim Brotherhood will remain under suspicion. However, people like El Baradei show that alternatives exist beyond the proverbial monster in the closet. Thus when King Abdullah and the other Arab leaders in the region offer solidarity to Mubarak, they are themselves playing with fire. Each country is susceptible to what happened and is happening in Egypt. At the same time, there is no need to romanticize this revolution. It may end up being bloody. There may end up being chaos. There may not be a clear succession or plan for the day after in Egypt or if it spreads, in Algeria, or Jordan, or Yemen, each country in which there are already thousands of demonstrators. In fact, the situation on the streets of Egypt remains dire. There are reports of random looting. Civilians have formed common neighborhood defense committees to protect against vandals and gangs. Moreover, there is the real and distinct possibility that extremists groups may step into the vacuum. Nevertheless, in 2011, the Arab world's people have woken up. To believe that they will be lulled back to sleep is a fruitless endeavor. It does not mean that every regime will be toppled and that there will be protests in every country until that happens. It does mean, however, that the old social contract between rulers and their subjects has been torn to shreds. Economically, socially, and politically, leaders will have to provide new -- substantively changed -- direction. Or else. More of the same will not placate this new desire for effective and open governance. There is a new playbook in town, and Obama, Mubarak, and the rest of the friends in the region better start reading it fast, or they'll get run off the field. That is the new reality. 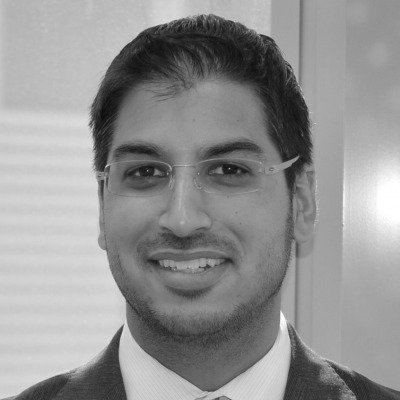 Taufiq Rahim is a Visiting Fellow at the Dubai School of Government and blogs at TheGeopolitico.com.